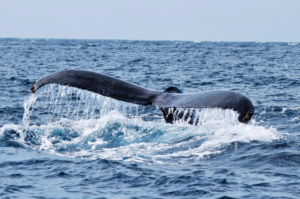 Every single year Cabo San Lucas welcomes the humpbacks and gray whales, thousands of them head south from far north to their birthing place down here in Baja. These migratory species visit us from December until April each year. They spend the summer up north (Alaska, British Columbia, Washington State). Winter time is also the high tourism season in Cabo, … Sigue Leyendo WHALE WATCHING SEASON IS HERE! !